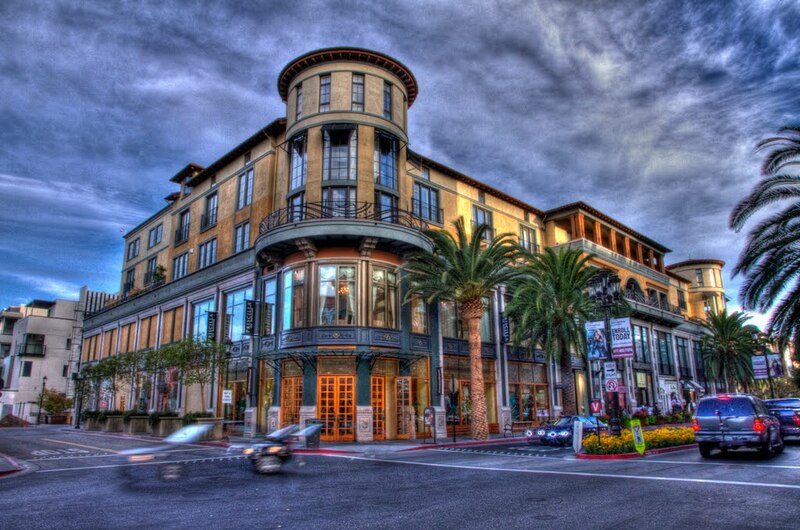 Santana Row is an upscale which offers high end retailers, restaurants, bars, lounges, and more . It is a safe location in San Jose .There are many luxury brands like Gucci,Tommy,Armani and casual brands such as Ann Taylor LOFT,H&M. It is spread in 40 acres. It is stylish, sizzle and without a doubt, its best shopping place. There are 24 restaurants where all food variety from the all continents available. Here parking is free and landscaping and lighting is very beautiful. During the construction Santana Row caught fire On August 19, 2002.In this fire there was damage of $130,000,000 .Fire was spread in 13 apartments. It was the largest fire in the history of San Jose. In the Santana row there are 834 residency homes with population over 1,000. The CELSOC Engineering Excellence Award in 2004 and Builder Magazine’s Project of the Year in 2003 was given to Santana Row. There are different designing teams includes SB Architects, BAR Architects, Steinberg Architects and landscape architects By whom beautiful look is given to Santana Row.